Google has teased Assistant devices with a screen, including one from Lenovo, but they've all been theoretical until now. Lenovo and Google have teamed up to bring the first Assistant smart displays to market. 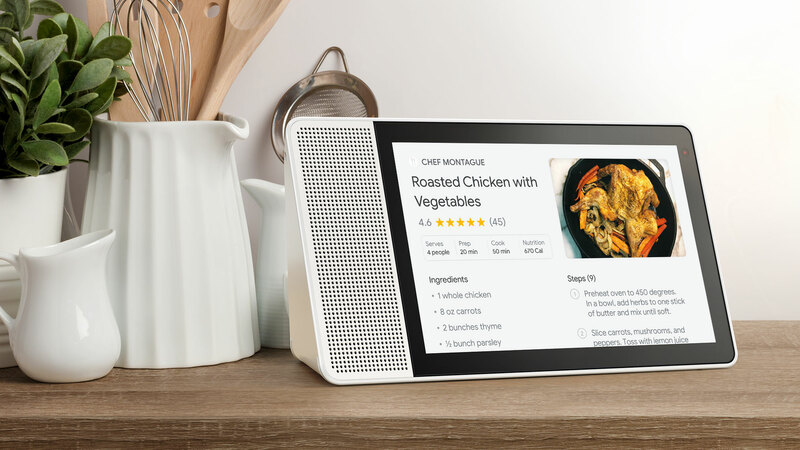 The aptly named Lenovo Smart Display will launch tomorrow in two different sizes. It's the Assistant you know but with some cool extra features. The Assistant Smart Display from Lenovo comes in two sizes: 8-inch and 10-inch. The smaller one will retail for $199.99 and the larger one clocks in at $249.99. So, you're paying more than you would for a regular Assistant speaker, but there's a whole new visual experience for Assistant. Your daily brief can include visual elements like the weather or calendar appointments. Instead of sending links to web content, the Smart Display can just show you on the screen. Likewise, you can stream your Assistant-enabled security cameras right on the device instead of relying on an external screen someplace in the house. Lenovo's Smart Display units also bring entirely new functionality to Assistant like hands-free video calling. When looking for music, you can have the Smart Display show you playlists for easier selection. There's also full YouTube integration, and you even get a free 3-month YouTube Premium subscription with each Lenovo Smart Display. If these particular smart displays don't strike your fancy, there are more on the way. Google is working with other partners like JBL and LG to create more Assistant screens.